Limonium flowers are also known as sea lavender and used interchangeably with statice, although minor differences are noted at close-up. With over 100 flower species, many are familiar with this flower as a typical meadow cultivar. 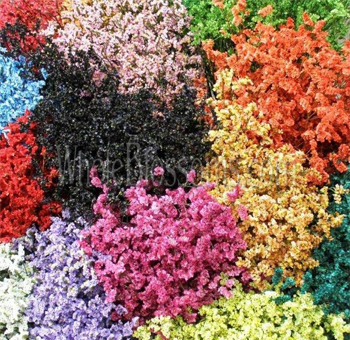 Commercially grown throughout the world, they are grown in a range of various colors and is used as filler in both fresh and dried floral arrangements requiring dense volume. They are available year round and shipped directly to you from the grower for maximum freshness and quality. Order them online for a huge savings for your wedding or special event. The Limonium flower is a pretty extraordinary plant. Its physical appearance for once is stunning and unique, unlike something you've ever seen before. This flower is also called the Sea Lavender Flower. It's because when in a huge patch this impressive plant manages to look like sea foam. 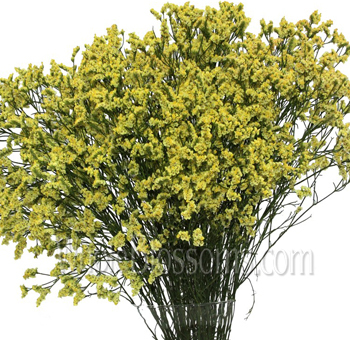 Limonium is a quite favorite flower grown for its longevity and colorful flowers. 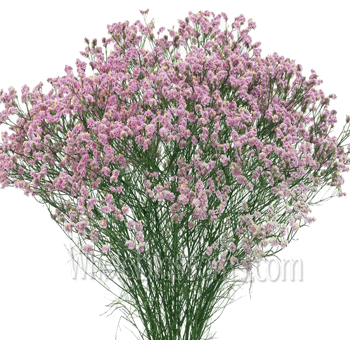 The Limonium statice flower symbolizes remembrance. The Limonium statice is a flower from to the genus of 120 flowering plant species. This exotic flower is everlasting since its flowers remain full and bright even after the plant has completely dried out. The last very long as cut flowers and are popular in the cut flower trade. Some members of this lovely flower are described to be very similar to misty sea foam when looking at a huge patch. 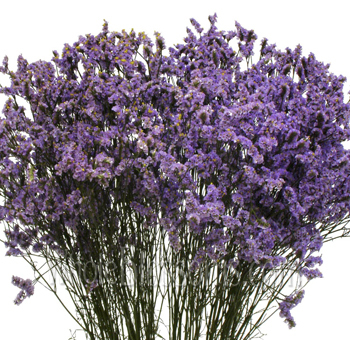 The statice is also considered as herbs and even referred to as marsh-Rosemary. 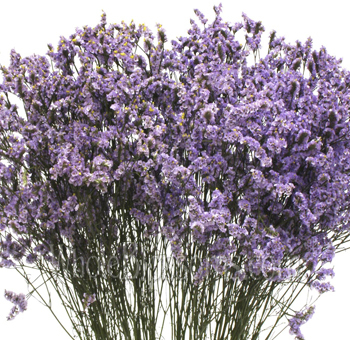 Due to this people often confuse them with relations to the Lavenders or Rosemary plants but that’s not the case. They belong to the Plumbaginaceae (plumbago) or the leadwort family. The flower’s names origin can be linked to the Latin word Limonium which was used to describe a wild plant. But ultimately,it’s named traces back to its Greek roots.The name first observed in Ancient Greece leimon which means a meadow. The sea lavender usually grows a good 10 to 70 cm in height, and some woody shrubs from the Canary Islands grow up to 2 meters tall. Some members of this species flourish in saline soil and will be commonly found near coasts and salt marshes. 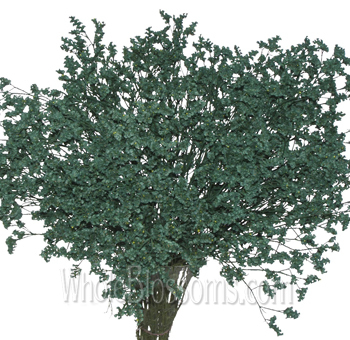 They also grow well in saline, gypsum and alkaline soils in the interior continental parts. The flowers of the limonium are generally pink purple or violet.There are very few statice varieties which come in colors like white or yellow. However, one member of the species gives out violet flowers initially but as the plant matures they turn to pure white limonium. It's an amazing transformation to watch. The flowers grow from a branched panicle, and the individual flowers are tiny around 4 to 10mm. The flowering stems bear only small brown leaves.Their leaves are pretty simple growing between 1 to 30 cm long and 0.5 to 10 cm broad. The purple Statice flower is a unique bloom. It reminds people of the past and fond memories related to that. The flower itself according to the Victorian language of flower means to remember fondly. When added to flower arrangements they are an instant hit making masterpieces. That's why they are trendy in the cut flower trade. 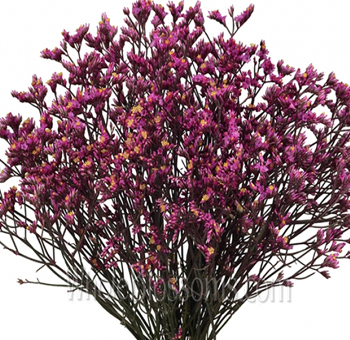 The statice peer is long lasting with a sturdy stem. So many event planners and bride to be's have noticed it's potential to withstand a long day without withering at all. Most of their species are favorite garden flowers. The beauty of this flower is that even when dried it still holds its bloom. When hung in bunches they are the perfect wedding décor to a rustic boho themed wedding. Moreover, the blue statice flowers is a hybrid which is a gorgeous addition to any winter wedding. Whether in bouquets or as centerpieces and wedding décor these flowers have the ability to shine through. 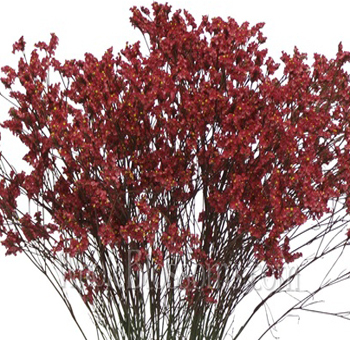 Their foliage is just as attractive making them even better for dried flower arrangement. They pair well with Tulips, Calla lilies, and even Roses when done creatively enough. Limonium flowers are stunning, and we suggest you use them to add a splash of color and uniqueness to your wedding bouquet. Limonium statice is unique and fun to add to any décor. These flowers and their hybrids are specially cultivated for their ornamental purpose. So, finding them is easy. They are always in demand and florists or wholesalers are always happy to supply. If these flowers have caught your fancy, you're probably wondering where to find them. The best and easiest option would be to look online. 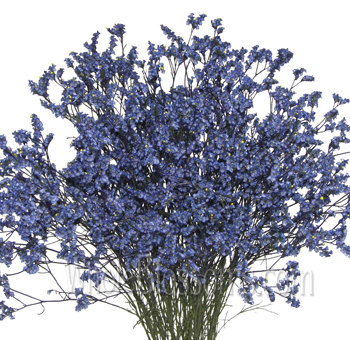 Having the luxury to avail the incredible Limonium sea lavender is excellent for busy event planners. Even brides who plan to do it themselves don't have to run around town looking from florist to florist. Moreover, is you make a purchase from an online wholesaler chance are you will purchase in bulk. Meaning a ton of money saved on the flower budget. Flowers for such big events can get expensive. 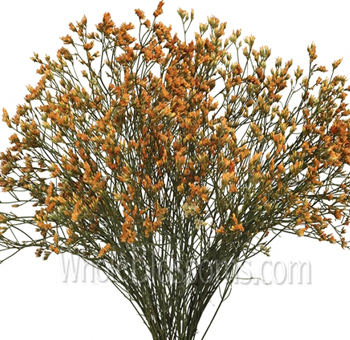 So, we suggest you opt for online wholesalers like Whole Blossoms. Making sure you're purchasing from a trustworthy company that guarantees fresh flowers delivery is a must. That's why Whole Blossoms is an excellent choice in that matter. They provide you with all your flower needs. Their 24/7-hour delivery system is fantastic for all the event planners and urgencies. They guarantee fresh flowers delivery right at your doorstep! 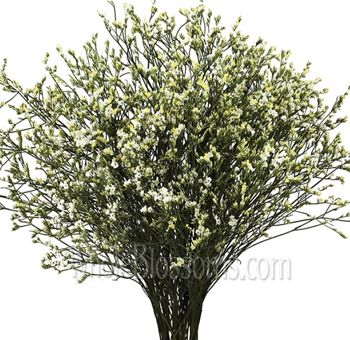 Your fresh Limonium blooms are waiting for you just a click away!